Here are some runners that deserve a good hard look next time they hit the track. 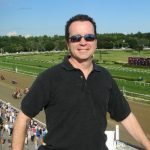 Between the Lines (Aqueduct – 1/16/16/ – Race 8 – #3 – 6f on the inner track) – Jock Harry Hernandez had the call and was finishing very nicely as they turned for home. – His mount was running green down the lane and was weaving in and out all the while making solid strides in 57.4 and 110.4. – I think a little better trip moves him up greatly, and he’ll rebound off the dreaded beaten favorite angle. Kayleigh’s Road (Aqueduct – 1/14/16 – Race #2 – #3 – One mile inner track) – apprentice jockey Eric Cancel was aboard this filly, and she went down to her nose right out of the starting gate. The rider did a great job staying aboard, and in the comment section noted she bled. She had taken plenty of public backing, and with a clean break the results may shake out better. Adestria (Aqueduct – 1/14/16 – Race #6 – #5 – 6f on the inner track) – Jose Ortiz had the call for Mike Hushion, and she came out of the gate just a bit off, and picked up the bit immediately. She received a solid ride and butted heads with the eventual winner to be a bridesmaid on this day. – I liked her motion, and the way she professionally picked up her game gives me something to look for next out. Panfila (Aqueduct – 1/15/16 – Race #4 – #1 – Panfila – 6f on the inner track) – Finger Lakes pro Jaime Rodriguez in the irons, and she duked it out with the leader down the backstretch. The rider was forced to take hold of his mount and drop over to the rail quickly. Once clear, he gave a good account of his mount and finished second. – I like to call this a “knocking on the door effort” and she should improve off this race. Securitiz (Gulfstream Park -1/15/16 – Race #8 – #1 – 1 1/16 on the dirt) – Javier Castellano had the call for James Jerkins. It appeared that all systems were go over the sloppy sealed track, when J.J. lost his whip while making the winning move. – Now who can say this caused him to lose, but it sure didn’t help as well. Scorch ( the eventual winner) dropped over to the rail and safely kept to task. Son of Tizway was making a 1st off the layoff run, and had been working well in the mornings at PMM. Look for the connections to get the job done next up. Agustina De Aragon (Santa Anita – 1/16/16 – race 6 #9 – 1mile turf) – First off the claim for trainer Doug O’Neill and reuniting with apprentice David Carlos Lopez, this mare ran a fine second for the new connections. Rallied behind a gate to wire winner and was 2nd best in this competitive field of $40,000 claimers.